Speaking of court cases - when I was looking after a prisoner in custody once I had the pleasure of being in the court room when a well known local advocate (and not very well liked by either his peers or the police to be honest! ), was putting forward his case for the defence. The defendent was pleading not guilty to a disorderly conduct case. He had been accused of fighting, being drunk and swearing loudly in the high street. The advocate stood up and started to put foward the defence. He went on about the defendant acting in self defence (blah blah blah - the usual stuff), then adressed the swearing as follows - this is pretty much word for word. "I would argue that the word f**k is not offensive - it is a word commonly used in society as a whole......" He went on for a while. The judge turned to the advocate at the end of his speech. "Advocate ******* (name not given to spare his blushes! ), would you ever turn to your assistant and ask her to make you a cup of f*****g tea?" "No your honour, I would not"
"Thank you - that is all"
The courtroom fell about with laughter - the defendant was found guilty!! Northampton isn't as bad as all that. The town has a rich sporting heritage and pedigree and a rich history, hinted at by its market square and one or two fine historical buldings. 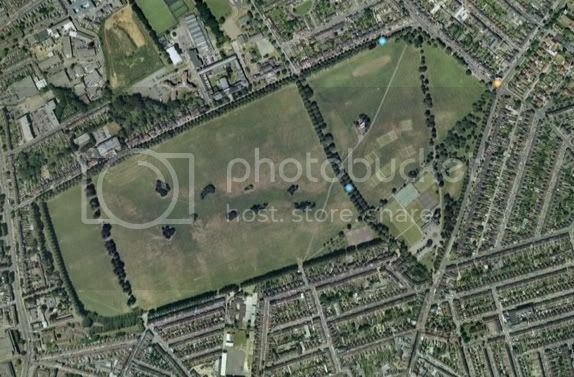 It used to have a racecourse too...............just down the road from the County Ground (and still known as such, although it's municipal title is Abington Park) where there are extensive pitches for local football, hockey, cricket and rugby. Dating back to 1737, it actually closed in 1904 although the former magnificent old grandstand still stands ~ converted into the listed building that is now the Pavilion whilst on the far side of the park is the aptly named White Elephant public house.................a wonderful example of Edwardian architecture so representaive of over the embellishment utilised whilst building pubs at the time, and so named because it's opening coincided with the closure of the very facility it was designed to serve. With it's Baroque style, it wouldn't look out of place on the edge of one of the great parks of Paris or in Versailles. Thus The Kingsley Park Hotel's intended name was short lived! Unlike the Sixfields development, this area is a Conservation Area and well worth a visit next time you are in the town. I don't find Northampton to be that bad a place at all ~ a typical county town with a number of old style pubs, river side walks and pleasant suburbs to live in. You can't judge a place by the immediate neighbourhood of it's football ground otherwise Torquay could be compared with Gillingham and Chester written off as somewhere bereft of cultural heritage! The layout of the racecourse can still be seen from the air. The original grandstand merse mentions is bottom right, set just back from the main bulk of the park sitting in the curve of the triangle. Leigh’s aerial photo of the old Northampton racecourse – plus Merse’s observation about it being near the County Ground – suggests this is where I saw a parks game on the afternoon of our game at Northampton being iced off some thirty-odd years ago. As it happens, I didn’t get round to seeing a game at the County Ground until very near the end in the mid 1990s. Northampton isn't as bad as all that. The town has a rich sporting heritage and pedigree and a rich history, hinted at by its market square and one or two fine historical buldings. It's hinterland is also quintessentially English imo...attractive, unassuming villages built in the local ironstone, and without any of the cloying tweeness found in the Cotswolds, or dare I say, parts of Devon. That’s a fair comment about the Northamptonshire countryside and pretty close to my thoughts as I came into Northampton on the train from Birmingham on Monday. It may not have the “wow factor” of parts of Devon (for instance) but it’s the sort of countryside you learn to appreciate once you’re in it. I walked form the outskirts of Northampton to Long Buckby a few years back – through villages such as Great Brington - and found it all rather pleasant. And, I suppose, the whole area (town and country alike) has – without wishing to sound disparaging – a certain workaday, ordinariness which, in its own way, makes it quintessentially English (to coin a phrase). An area rarely in the news – or many people’s thoughts (unless you live there) – and one I imagine I would never have visited were it not for football. Although Merse describes Northampton as a typical county town, I would call it an industrial county town on the basis of its shoe manufacturing (of which you got more of an impression on the walk from the town to the old County Ground). Maybe not as “county” as some and less “industrial” than a few other towns mentioned in this thread. Messed around in places – you get the feeling that the 1960s and 1970s weren’t too kind to Northampton – and, from this Devonian’s point of view, not quite enough slopes and gradients to really give it character. Indeed, rather like the neighbouring countryside, you need to work at finding the best bits – All Saints church, the Victorian Gothic town hall and some of the older buildings dotted around the town centre. The Market Square, as already noted, is a fine feature although – on a quiet overcast bank holiday – it lacked the vibrancy of the usual Saturday visit. The riverside area isn’t as grand as, for example, the Great Ouse making its way through Bedford. But, for us folk from Devon, it’s a reminder of the size and grandeur of some of the rivers of that part of England. The Nene weighs in at around ninety miles long – compared with over 140 miles for the Great Ouse – but, for today’s quiz, how is its name pronounced? 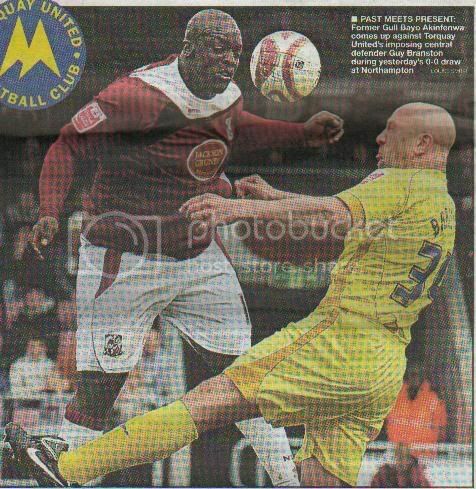 Good picture in yesterdays HE showing the duel between Big Bayo and Big Bad Branston. I know Bayo is jumping but he's huge. Sign him up for next season. I swear I heard that collision in my home in North London! It's hinterland is also quintessentially English imo...attractive, unassuming villages built in the local ironstone, and without any of the cloying tweeness found in the Cotswolds, or dare I say, parts of Devon. Well for a start that river is pronounced locally as "Nenn". 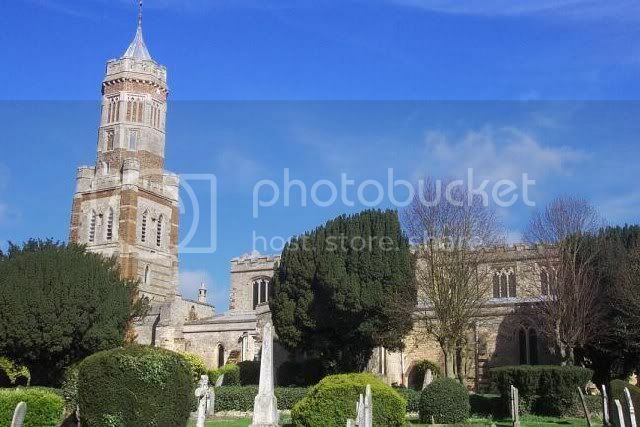 The Northants countryside for me is typified by it's many prominent steepled churches which seemingly compete with one another to be the highest in the county....................they fairly "steeple" over the surrounding towns and villages beneath them! My preference for the nicest part of the county lies in Towcester Racecourse (truly breathtaking in it's rolling spaciousness) on Lord Hesketh's estate at Easton Neston and the nearby Grand Union Canal at Stoke Bruerne and I shall be featuring this area some time in my blog The Jelly's Diary once I find some time to add text to the pictures I have been sourcing. Lord H certainly commisioned some rather unique architecture for his two modern day stands on the racecourse! The town of Oundle is also very attractive with it's proliferation of honey coloured local stone buildings rather like that of the Cotswolds and East Somerset around Martock and Castle Cary. To me there is far more gravitas to be claimed by the examles of Britain's old industrial heritage in rural locations over the aforementioned "Chocolate Box Tweeness" of Devon.......................give me the old tanneries at Buckfastleigh over Buckfast Abbey and Bradley Mills over Bradley Manor any time! I'm sure it has been sung before but I have to say the '10 men couldn't carry, couldn't carry Bayo' did make me laugh out loud on Monday afternoon...especially when it took at least 3 St Johns Ambulance men to lift the bloke after his injury. 10 men couldn't carry, couldn't carry Bayo, 10 men, 9 men, 8 men, 7 men, 6 men, 5 men, 4 men, 3 men, 2 men, 1 man and a forklift, couldn't carry Bayo. Oundle is a fine town, similar in many ways to Uppingham and Oakham in neighbouring Rutland. As for the Northamptonshire countryside, there is no better resource than the work and life of John Clare. Anyone remotely interested in the history and ambience of the English landscape should look him up. I looked over and there were quite a few chuckling. That fork lift one, andy, was also done for steve Evans, I believe. Some decent banter on the Bayo front from a decent vocal crowd on Monday. I was probably lucky as the only negative things I heard were from me...give him an option, that sort of nonsense.. I am sorry to say I was one of the guys giving Bayo a lot of stick that day. The game itself was decent, Carayol had a good game but maybe felt the effects of the past few games near the end but still a good game. I did potter around thier training ground beforehand (which is situated right next to the ground) and had some banter with some of thier players who were there. They do have some nice lads there and friendly bunch. The same cant be said for the people who run the club. Your not aloud drums inside, you had a discount for home fans and kids and yet only for home fans and not allowed inside thier pub even though Cobblers fans were asking for us to be allowed inside. I really like the atmosphere though and the banter we gave Bayo and thier `kkeper Steele. Nen in Northampton; Neen in Peterborough (apparently) - with the linguistic divide around Thrapston.